An entirely different sea area is to be found to the west of Helsinki than that which fishers come across in the unending rocky grounds bordering the eastern part of the Gulf of Finland. The west is characterised by smooth rocky islands, skerries and gnarled pine forests. Fishing can be found near the mainland in inland bays covered in aquatic plant (pike, pike-perch), in the labyrinthine waters between various sized islands (pike, perch, pike-perch), in the surf at the edge of rocks (sea trout, white-fish) or in the open sea (salmon). This area is one of the best in the Gulf of Finland for fishing. More large pike have been caught in the Tammisaari and Sarkisalo region than anywhere else. The Sarkisalo region is also famous for its large pike-perch. There are plenty of perch throughout the area and a specimen of more than 1 kg is not unusual. 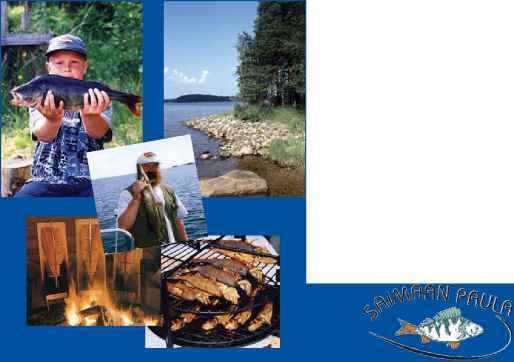 You can fish for salmon just outside Helsinki and the waters around Porkkala and Inkoo are rich in sea trout. Fishing is from a fishing guide's boat. This gives customers the best opportunity for a good catch. 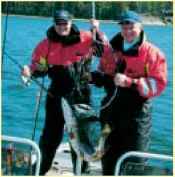 Spinning or jigging can be used to catch pike, perch, pike-perch and sea trout. Salmon is caught by trolling in the open sea. You can spin near the shore, around suitable rocks or in slightly deeper waters in the shallows or at the edges of slopes. The boats are fitted with all the tackle required. If you want to bring along your own tackle, a 2500 open spool is adequate. Rod length should be about 8 foot, lures 10-30 g and monofile line 0.30-0.35 mm thick. In light fishing we use medium stiff (MH) 6-foot jig rods and 1000 series reels with 0.15 mm braided line. Fishing is from open boats, except for trolling on the open sea when we use HT boats with a cabin. Boat length is usually 6 metres and the open boats can accommodate four anglers at a time. Visit our website www.apajamatkat.fi for further information. The boats are in professional use and as well as complete fishing tackle also feature the latest safety electronics. During colder parts of the year, we also provide customers with thermal flotation suits and thermal boots. There are many types of accommodation to choose from in the western part of the Gulf. Visit our website for a selection of the best. Accommodation is in well-appointed villas (4 and 5 star) on the shore. In your own villa you can enjoy the tranquillity of nature and concentrate on spending time together, delicious meals and fishing. Time The open water season on the south coast is from about 15 April to 31 November. You can take a boat with guide for a day to Helsinki or 5 days to Sarkisalo. The day price includes the rent of the boat, the services of a skipper and fishing tackle. Fishing permits are €14 per person and a picnic lunch €8 per person. 6-8 hours are spent fishing at sea. The place and time of departure are agreed with the guide in each case. If you tell us what you want to catch and when, we'll tell you the best place in the Gulf of Finland to make your dream come true. Please note accommodation is not included. Group size 1-4 persons per boat, with larger groups we use more boats.